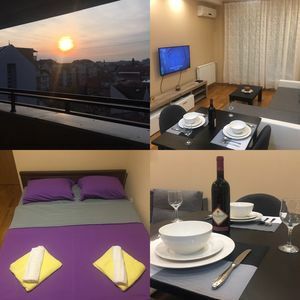 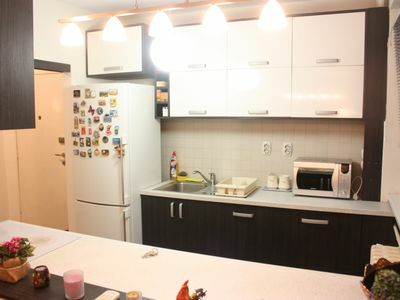 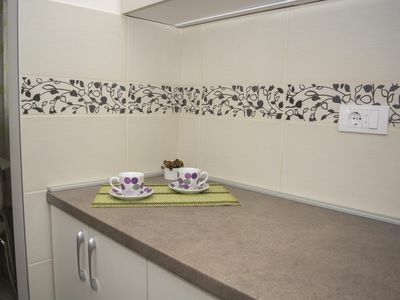 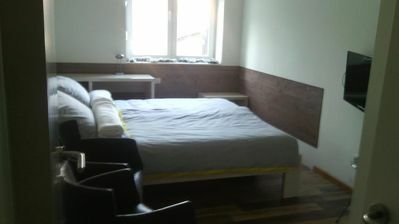 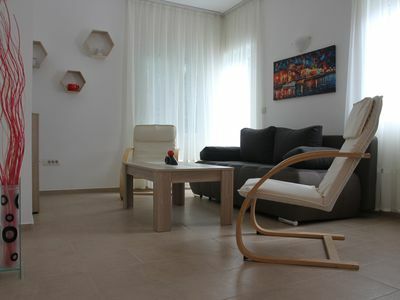 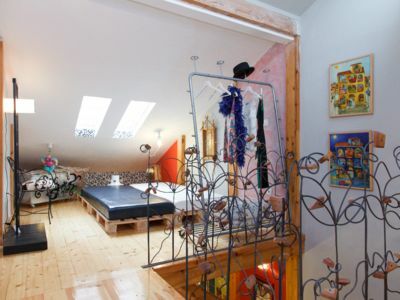 Comfortable top floor 2 bedroom apartment for 5 persons centrally located near Terazije Square. 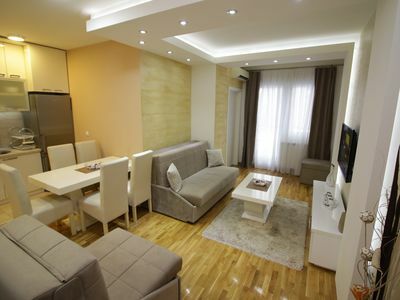 2 bedroom apartment Moscow is on the 6th floor of the building equipped with elevator and intercom. 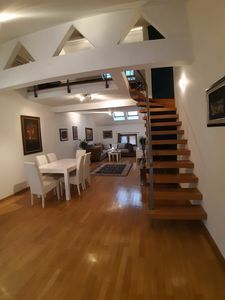 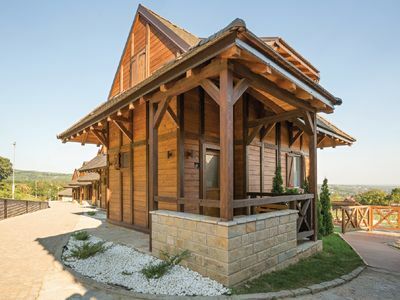 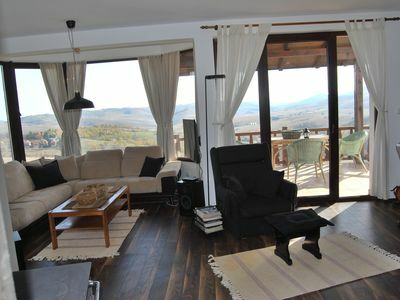 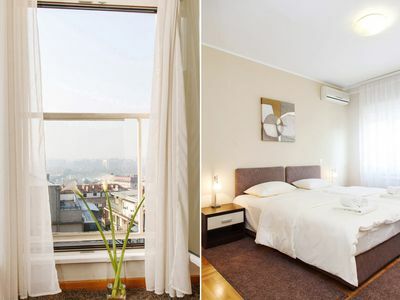 You will be able to enjoy 53m2 flat with the beautiful view on the Sava river and New Belgrade. 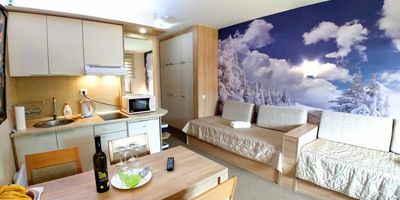 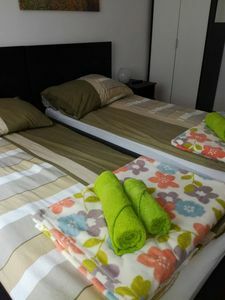 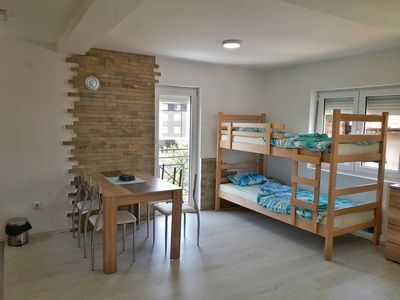 Apartment contains two bedrooms with 2 single beds each (which can be set as 2 king-sized beds), living room with sofa bed for one person, kitchen and a bathroom. 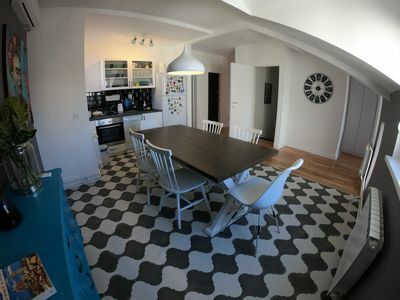 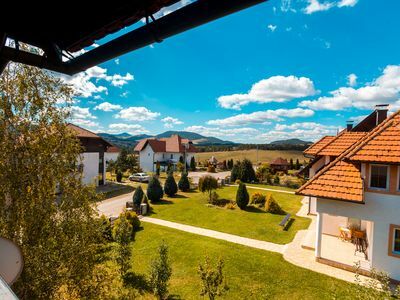 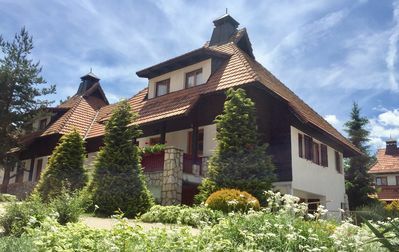 Fully renovated apartment complies with the highest quality and aesthetic criteria and is suitable for up to 5 persons, either for short or long term rent.